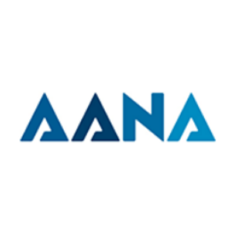 In this guest post, Nico Neumann argues it's time the AANA and MFA pushes for tougher transparency guidelines, ideally in the form of accreditation requirements or new laws enforcing disclosure. With the latest fraud scandal of Dentsu, the transparency topic has made it back to the news headlines. Many potential issues in current media practices have been discussed, such as appropriate agency fees and the role of undisclosed rebates. Surprisingly, there still is a lot of confusion around which information agencies and other middle men should be required to reveal. For example, some people argue that it would not be fair to be completely transparent about how an agency makes money since supermarkets or successful companies such as Apple don’t tell you the exact profit margins of their products either (scroll to comment here). Sadly, this argument misses one critical point. Apple is a technology/software company and a supermarket is a retailer. Its value generation is in producing a product or distributing it. These are well-defined roles without conflict and it matters less how much their margin is (though retailers have been criticised for promoting their own store brands too much). The same applies to media: no advertiser really cares what exactly the costs of ‘operating media buying’ are (overheads, equipment, etc.). You set a price and customers can accept your offer or not. However, if media agencies only performed media buying and pursued no other business opportunity, we wouldn’t have the current mess and debates. Specifically, in the case of most big media houses, it has become the norm to wear many hats simultaneously, often without being transparent with clients. Unfortunately, this comes at the cost of integrity and violates essential principles of an agency-principal relationship. Why? Because you simply cannot be consultant, agent/ broker, trader, reseller/ distributor (thus media owner), speciality service provider and auditor at the same time. Provides advice on what to do and is often hired to solve a particular problem for which a client lacks expertise. A classical management consultant rarely implements a recommended solution. Consultants typically receive a fee and should not have any financial relationships with suppliers (e.g., through commissions). Is authorised to act legally on behalf of clients. The work often involves practical support and expertise (e.g. preparing request for proposal documents). A broker is a type of agent who tries to match buyers and sellers to enable transactions. Agents and brokers typically receive a commission (which may or may not be subject to approval from a client). Purchases goods or services with the intention of selling them to end users. A reseller has no inventory (as opposed to a distributor) and may add extra services, such technology support. Usually resellers buy at a volume discount and resell to their customer at full price, pocketing the difference. Buys and sells with the goal of making profits, often based on value differences given by market fluctuations. Traders can use their own money or someone else’s and are often paid on a commission basis for transactions. Checks the accuracy of business records and transactions and typically receives a fee. Auditors tend to work on budgeting and performance evaluation, risk management and selections of financial investments. Financial auditors need to be independent from the investigated organisation by law. Manages a customer’s highly specialised requirements, such as technology systems or creative productions. Often it’s a function that is outsourced when it’s not cost efficient to do this yourself. Typically specialist (managed) services involve [subscription] fees. A contractual agreement dictates the performance metrics that will govern the relationship. Now let’s look at the advertising ecosystem. Large agency groups regularly make upfront deals to leverage their buying power. For example, IPG committed to buying US$250m of Youtube inventory in the US this year. Unless each client has agreed a priori to chip in a fixed amount (creating group-buying demand a la Groupon), this deal makes IPG a distributor or trader of Youtube ads. If media agents now suggest to run Youtube ads, clients will be left to wonder whether this recommendation is made because it’s the best strategy for them or because IPG must fulfill their promised quota. Unfortunately, the Youtube case is just one example. Most media groups make upfront deals with print or TV broadcast networks too. The same concern applies – the agent becomes a distributor. Today most media agencies are resellers for marketing products, such as Google Analytics (GA) Premium (costs: $150K USD per year). Note that resellers can get a discount of up to 50%, depending on the purchased volume. Many agencies then offer GA Premium to clients for the market price (150K), but add ‘free’ implementation and maintenance. Of course, the extra service is not really free but funded by pocketing the discount (question: has this been disclosed to you?). Moreover, this source of income may again create a conflict of interest for an agent who recommends shifting money to online advertising (which may require a tool like GA Premium) or when evaluating the effectiveness of SEM campaigns (which frequently happen to be executed by the same agency). Another major conflict of interest occurs when an agency conducts attribution or marketing mix modeling to examine their own media buying. The potential risk in budget shifts away from sister groups (e.g., trading desks or paid search optimisation unit) is a significant problem that raises serious questions about whether such an analysis is done neutrally. Agency-owned content productions (social media, creative, content) or trading desks represent further red flags. Once again, it is difficult to determine for external parties whether a suggested inhouse specialist service was chosen because it is the best solution or because the agency [group] makes money through this channel. When the media industry moved away from the commission system, agencies became also distributors, resellers, auditors and speciality-service providers to generate additional income (and they make greater profits than ever). However, they also created numerous conflicts of interest by doing so. Other industries, such as real estate or finance, have strict legal requirements to disclose any conflict of interest. Interestingly, even though the media industry suffers from the same issues, it does not have the same obligations. Sadly, this lack of transparency has been exploited multiple times by bad actors. To improve current media-buying practices, the ANA recommended full disclosures of all conflicts of interest in the US following the findings of widespread malpractice. It is therefore high time that other associations, such as AANA and MFA, push for tougher guidelines in our region, too, ideally in the form of accreditation requirements or new laws enforcing disclosure. Only when all conflicts of interest are disclosed, these can be managed by clients. Of course, disclosures don’t guarantee protection. The safest way for clients to reduce concerns of malpractice is to avoid any conflict of interest at all. How? Have each key role – agent/broker, consultant, reseller, auditor, specialty service provider – executed by a separate organisation. Given the history of trust exploitations and fraud revelations in media, this is probably a good idea anyway. GroupM could have a conflict with Plista being owned and in the same building – do they recommend it over Outbrain? Very interesting and useful article Nico, thank you. I remember back in the late 90’s when agencies weren’t unbundled yet the GAD on one account increasing the media spend on a certain newspaper’s weekly advertising, just by presenting the media plan with the agreed spend and saying to the editor, “you know, I think we’re a bit light in the 20-30’s demographic this week – i think we should probably boost the media by 30%. And the editor bought it every time. As we walked out of their offices, he told me who was very new – It’s like taking candy from a baby. Samuel what you’re saying makes no sense. Why would he present the media plan to an editor? If you’re going to make up a story at least get the fake roles correct. Your list of a half dozen key roles begs the question … well why do advertisers only want to pay 3% of billings for all that. Surely THAT is at the root of the problem. JG, thanks for your contribution. The ‘3%’ (as a proxy for low commission fees) you mention refers only to media buying/ retaining an account. Advertisers are happy to pay for the other services additionally (are you telling me there would be no extra costs for a trading desk or inhouse productions?). Unfortunately, clients often even pay a lot indirectly without their knowledge. This is the questionable and unsustainable model that is broken. It only works because of the lack of transparency. And it is a game focused on short-term gains. Why do media agencies accept a low fee on media buying? Simple answer: cheap media buying is often used as a door opener (trojan horse = own the client) to cross sell the other more profitable parts and roles (keyword: full service agency). Sadly, this is not the idea of an trusted advisor or agent. It’s the exact opposite. Let me be clear: what is standard in media presently, would be highly unethical and often illegal in other industries. Agents should avoid conflicts of interest, not create even more of them to make money. As mentioned in the text, the large agencies make greater profits than ever (yes, check the link in the text). The six big holding groups have increased both their operating profits and revenues over the last years. So, it’s seems ironic to complain about the business model. And don’t pretend that agencies are the victim here. They chose to do this. In my view, strategically, big agencies have put themselves in a corner and management consultancies are happy to jump in. Why? You cannot be a neutral consultant when you are part of a big agency/ service network. Calling yourself a consultant does not make you one. As per definition, you should not have financial relationships with the suppliers you are supposed to evaluate. @Nico. Good article, and definitely needs discussing. Clients and agencies can only move forward with trust, and the basis of trust is transparency. 1) Transparency has to be linked with Fair Remuneration. Agencies can provide one if they have the other. Sadly, I have seen many clients – large ones and small ones alike – say time and again to my face – “I know its not fair on you and we need all the services you provide, but I need to show a 20% cost reduction in fees as its in our targets”. When clients stop demanding arbitrarily that agencies lower their fees just so that they can hit their own pre-determined targets, then we can begin the conversation of transparency. We are all businesses and we all need to make a profit. This is slander and libelous. What agencies do is governed by agreed contracts signed by lawyers and commercial people on both sides. No one is forced to do or sign anything, indeed there is usually a long process to win a client and agree terms. So unless you have proof that people are transacting with clients against their agreed terms – nothing is unethical or illegal. Its called a commercial agreement. And of course each client will negotiate its own set of terms that suit them. There are also many reasons a client will agree to terms that another client wont.. being a seasoned veteran of the industry you would understand why from the client side this happens too. Also – what other industries are you talking about? Financial Services? Nope.. undeclared commissions and benefits and “conference trips” still happen without client disclosure. All legal. Lawyers, Doctors, Accountants, all receive benefits – both cash commissions and in kind, from suppliers – all non disclosed and all legal. In fact, I would think the only situation that is unethical (as opposed to illegal), is where a Doctor is recommending a drug to a patient because they are receiving some benefit on the side. Unethical because a patient’s health and wellbeing is at stake. Dear ‘Facts please’. Many thanks for your comments. I completely agree with you – 1) Transparency is needed and 2) let’s stick with facts. Unfortunately, then our views seem to be different. 1) This argument seems to come up a lot in conversations. To be honest, I am surprised about this. So the client wants to negotiate a lower price? Have you considered simply saying ‘no’? Why are consultancies able to offer ‘advising’ at a higher price? Could it be the broken business model that is the real issue (trying to keep an account at any price and finding profits later)? In principle, I refuse to believe that low income/ market pressure justifies finding ways to generate revenue unethically (yes, unethically – as the role of neutral, trusted agent is often exploited). 2) Illegal or unethical in other industries – yes. Perhaps there is a misunderstanding, but I am referring to having multiple roles – as described in my article – which created multiple conflicts of interests (and without regulations). Could you imagine having a real-estate agent who sells you the software to evaluate the house prices/ market, provides you the mortgage for the house and does so using his inhouse bank? BTW: auditors are by law required to be independent (so why are organisations that conduct media planning allowed to also do marketing mix modelling/ attribution/ research assessing their own service?). 3) You ask for proof of unethical behaviour in media? How much evidence do you want that conflicts of interest have been exploited by bad actors? Keywords: ANA report, Dentsu, the discussions around agency trading desks etc.. The press has covered this topic extensively over the last years. Not every agency will do this, but the mounting evidence suggests it is time to act. 4) Other industries (real estate, insurance etc) have much more regulations than media (see links in text). Most important would be to disclose any income sources/ conflicts of interest. Shouldn’t we start here too? 5) Finally, I agree that other industries still need to improve (finance and health care). However, I hope your argument is not: if they are allowed to act unethically (or to have loopholes), we should be too. Let’s clean our own backyard first. Overall, I am just saying that self-regulation does not work and that we should implement similar procedures and protocols as other industries (and improve these over time). Why is this so bad? Is there anything to lose if you act ethically and in the interest of your clients? Let’s fix the real issue, which is the broken business model, and not defend questionable practices and standards. Very aptly put together the current situation on media transparency. However I wouldn’t blame the whole thing on the agencies. The corporates have been known to exploit opportunities wherever possible and in this case they have tasted their own medicine. The agencies put their foot in the door through setting up Media Sale shops which attracted the advertisers however the advertisers failed to see the expiry on the sale items. The agencies have just exploited the naivety of the advertiser towards getting more discounts and have taken up conflicting roles making it more complex for the advertisers to understand what was going on. It is simple math to understand that an agency cannot provide a brigade of trained personnel on such low commission / fee, and if they have agreed to provide then there is something wrong. I totally agree to the fact that before developing regulations the advertiser needs to develop capability within them to address the real problem.